Charles and David Koch are among the new owners of the recently sold Time Inc., the company that owns and publishes over 100 magazine brands, including Time Magazine. 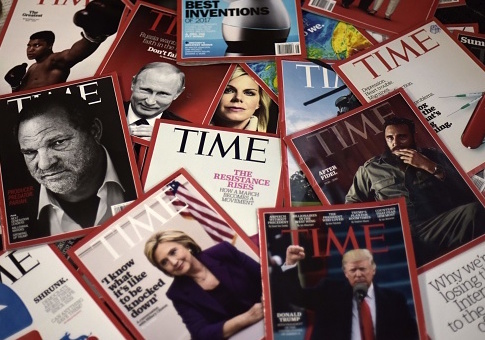 The sale of Time Inc. to the Meredith Corporation went through Sunday night for approximately $3 billion, the New York Times reports. In addition to Time Magazine, publications Time Inc. owns include Sports Illustrated, People, and Fortune. The Meredith Corporation already owns Family Circle, AllRecipes and Better Homes and Gardens. $650 million of the Meredith Corporation's $3 billion purchase came from the Koch Brother's private equity. The Koch brothers—known for their conservative politics–will hold no editorial or management control over the publications owned by the Meredith Corporation. Rep. Brendan Boyle (D., Pa.) criticized the deal in a tweet Sunday evening based on the Koch Brothers being backers of conservative and libertarian causes. "Get ready for next year’s new Time Magazine feature "Person of the Last & Next Century" Ayn Rand," Boyle tweeted. This entry was posted in Culture and tagged Koch Brothers, Koch Industries, Media. Bookmark the permalink. Jack is a Media Analyst for the Washington Free Beacon. He is from Northern Ohio and graduated from the Catholic University of America in 2011. Prior to joining the Free Beacon, Jack was a Production Assistant for EWTN's The World Over and worked on Sen. Bill Cassidy's 2014 campaign.